It’s an intriguing grand prix track, the Circuit Gilles Villeneuve, winding its way in a ribbon of (cracked and broken) asphalt around this man-made island in the Saint Lawrence River. 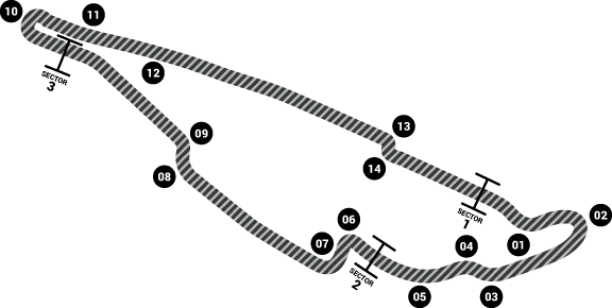 The old school nature of the place – tight, twisting narrowness, coupled with flat-out straights, treacherous chicanes and hairpins that demand extreme braking – always makes for one of the more interesting race weekends of the year. In my personal list of top venues to shoot Formula 1, the section between turns two and seven is perhaps my favourite of all. Apart from the track marshals, the only other permitted observers are the photographers – and what a treat it is. The cars blast out of the first hairpin and head along a tree-lined avenue before swooping into a downhill right-left chicane, riding the kerbs and oh-so-narrowly avoiding the unforgiving wall on the exit of four. This tricky flick-flak is quickly followed by a balls-out blast through the ‘blind’ fifth gear turn five, keeping a tight line on the exit before braking hard for the left and then right of six and seven. This second (of four) chicanes leads on to another top gear charge, requiring a deft balance of acceleration and steering made all the harder by the leaf-covered track and ever-present concrete wall. Such an unforgiving and scary venue rewards the brave, and Hamilton, Räikkönen and the impressive Alonso came to the fore – but the most intriguing by far was the eventual race winner, Robert Kubica. I can only imagine that should he appear incognito for tuition at any racing drivers’ school, the shocked instructor would be telling Robert to calm it down, for his style seems quite unique. The sheer ferocity of his attack seems to go against everything that is taught. Robert’s confidence in both his and his car’s ability is paramount, resulting in what can look like a messy blur of speed and noise – but, seen through the lens, he hits the same mark, corner-after corner, lap-after-lap. The same cannot be said of all of his competitors. Now please take a few minutes to enjoy my pictures from the 2008 Canadian Grand Prix by clicking on the ‘Formula 1’ link at the top of the page.